08 Dec 2018 / 16:03 H.
KUALA LUMPUR: Former prime minister Datuk Seri Najib Abdul Razak, Umno president Datuk Seri Ahmad Zahid Hamidi and PAS president Datuk Seri Abdul Hadi Awang are among the big names to make an appearance at the anti-ICERD rally here today. 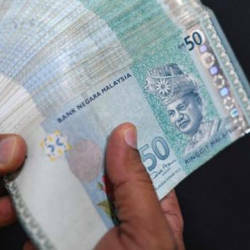 The leaders arrived separately at Dataran Merdeka after the rally kicked off at 2pm, with an estimated crowd of 50,000 people gathered there. They were greeted by loud cheers when their arrivals were announced through the speakers. Among others present were Umno deputy president Mohamad Hasan, PAS deputy president Datuk Seri Tuan Ibrahim Tuan Man, Umno secretary-general Tan Sri Annuar Muhyiddin and Umno Youth chief Datuk Dr Asyraf Wajdi Dusuki. The top party leaders are expected to speak later this evening, with NGO leaders, activists and student group representatives kicking off the rally. Lawmakers from the two parties are also present here today. The rally has been a peaceful one so far, with no untoward incidents reported as of time of publication. 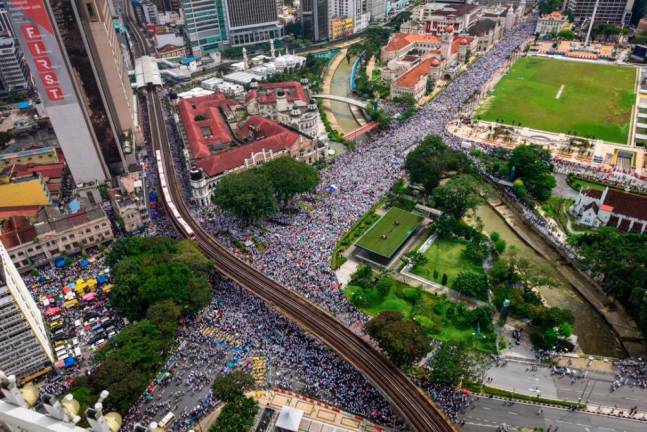 The crowds had gathered at four checkpoints - Masjid Jamek, Sogo shopping complex, Masjid Negara and Putra World Trade Centre - earlier today before making way to Dataran.